The name of the Christmas shopping game for the next 11 days is pre-Black Friday. No longer just a term to describe the days when consumers are waiting for Black Friday, pre-Black Friday has its own official space on the 2012 retail sales calendar, and the biggest U.S. retailers like Amazon (AMZN), Wal-Mart (WMT), Target (TGT), Kmart (SHLD), and Aeropostale (ARO) are trying out some promotional moves in an effort to define the pre-Black Friday dance for the entire industry. Retailers seem to have collectively come to the unspoken agreement that there’s really no fiscal logic behind waiting until the day after Thanksgiving before offering Christmas holiday shopping deals. So each year retailers dangle Christmas deals in front of online and in-store shoppers at earlier and earlier dates, to see just how soon Christmas shoppers are willing to put on their shopping shoes and join in the pre-Black Friday dance. So, what hot deals and creative promotions do retailers have to offer to 2012 Pre-Black Friday shoppers who are willing to accept the new Pre-Black Friday shopping schedule? As is true for everything retail this time of year, the Pre-Black Friday promotions are announced often, and change quickly. But here’s some of the latest news from two of the biggest pre-Black Friday players, Amazon and Wal-Mart. Free from any kind of brick-and-mortar history, Amazon was a notable first to disregard the Black Friday tradition, and because of that, Amazon is the retailer to beat for 2012 Pre-Black Friday sales. Amazon knows this, and is employing aggressive marketing innovations to maintain its Christmas sales lead. The mega Internet shopping site isn’t just sticking its toes into the pre-Black Friday sales pool. Amazon is jumping straight into the deep end of discounts right away. 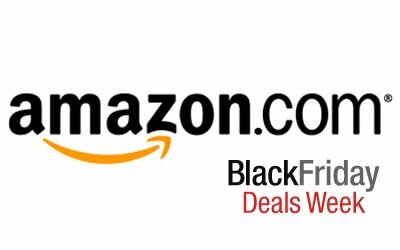 Percentage-wise, there are very few retailers that are even coming close to Amazon’s pre-Black Friday Black Friday Deals Week. Amazon also has Pre-Black Friday Lightning Deals of the Day, which rotate in and out about every two hours, or whenever an item is sold out, whichever comes first. This is not to be confused with regular Amazon one-day-only Gold Box Deals, Kindle Daily Deals, or Amazon Coupons. Amazon is also using every technology and social media outlet available to communicate with and offer Christmas holiday shopping season deals to its virtual customers. That’s part of the mastery of Amazon – being able to build strong relationships with virtually no person-to-person interactions.